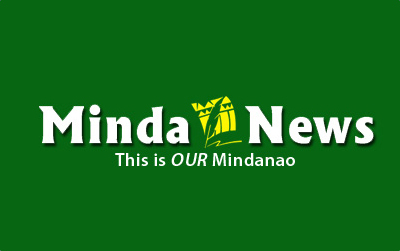 MELBOURNE (MindaNews/05 December)–It appears that the Bangsamoro Basic Law (BBL) has inspired a renewed vigor among local leaders in Mindanao to push for the shift to a federal form of government. What is interesting here is the call for the shift to be immediate as if this undertaking was as simple as changing outfits. Obviously this is not the case. For many of the states with the federal form of government, such as the United States, Malaysia, Australia and Germany for instance, federalization was actually a state-building effort. These countries each began as loose collections of disparate socio-political entities but gradually transformed themselves into a unified nation-state through the process of federalization. In our case, it would essentially be the reverse. And thus we face a much harder and more complicated version of federalization. One that entails a significant length of time and also demands the exertion of a tremendous amount of effort from all of us. However, I am most alarmed with the presumption of purported advocates of federalism that our local leaders are fit and ready for this form of government. 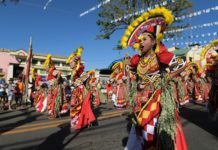 They immediately harp on the perceived disparity in revenue-sharing with the central government to justify the shift without even touching on the readiness of local leadership in the country to assume the big responsibility of local governments under federalism. Note that one of the most important lessons in the BBL discourse is the realization about the ARMM as a failed experiment. The lesson being—increasing the autonomy of local levels of government ultimately amounts to nothing if local leaders are incompetent and incapable to properly utilize the expanded powers and resources. Indeed, with the exception of a notable few, it is difficult to be confident on the ability of our local leaders to formulate and implement long-term and far-reaching development objectives. In fact, the over dependence of local government executives on the Internal Revenue Allotment (IRA) and the continued existence of central government largess such as the PDAF and DAP point to the conclusion that the development perspective of local leaders has not reached the level of sophistication necessary to sustain federalism. Now consider the key finding in the 2012 groundbreaking study on political dynasties by the Asian Institute of Management (AIM) Policy Center that lower standards of living, lower human development, and higher levels of deprivation and inequality persist in the communities governed by local leaders who are members of a political dynasty. One cannot help but conclude that federalizing under these conditions would be tantamount to condemning these communities to perpetual poverty. I still maintain though, that the change to a federal form of government is a constitutional reform we can all rally behind. But we have to disabuse ourselves of the idea that instituting federalism in our country is as easy as turning on a light switch. Indeed, our foremost task right now in the pursuit of this goal is to lay the foundations and we do that by improving the quality of local leadership. On this score, federalism advocates can help the cause by actively pushing for the enactment these particular pieces of legislation: the Anti-Political Dynasty Law, the Freedom of Information Act and the Political Party Development Act of 2014. Ostensibly, there are other ways of uplifting the standards we have for our governors and mayors as well as enhance their capacities to be effective community leaders. Nevertheless, these three laws are particularly vital because they impose structural reforms that could instigate drastic improvements to the way local governance is currently conceived and delivered. However, I must emphasize too that the transition to federalism also requires the elevation of the electorate to a higher level of political consciousness. The prevailing culture of patronage, which is the lifeblood of political dynasties, must be addressed head on. The best way to commence with this task is to abandon the populist approach some sectors are wont to adopt. The obvious danger here is that rhetoric and sound-bytes, while may be good for catching the attention of media, could caricaturize the effort and thus diminish its potency to convince the vast majority in the polity. I would instead suggest to proceed with a clinical and academic approach. The advocates of federalism, whoever they may be, must create an environment that is conducive to the integration of the polity rather than its fragmentation. Indeed, they must oversee a process that facilitates the circumspect and level-headed discussion and debate on federalization between all sectors of the community. Because federalism is not just a political framework, it is also a frame of mind.